Algarve property prices have risen for the first time since 2008, drawing more buyers back to Portugal’s sunny coast. According to Knight Frank’s Inside View Portugal 2016 report, the Algarve recorded its first annual increase in prime prices in seven years in 2015. The country’s recovery is enjoying gradually growing momentum, with prices and demand both steadily rebounding. Buyers have been enticed back to the Algarve, in particular, by a combination of its ongoing infrastructure improvements (the main A22 motorway, which runs the length of the Algarve, and the €32m expansion of Faro Airport) and its plentiful tourist attractions (stunning weather, 37 pristine golf courses and well over 100 fabulous beaches – 88 of them with Blue Flags). For lifestyle buyers, tourism continues to be a demonstration of the area’s appeal: nearly 50 airlines now serve Faro Airport, with passenger numbers jumping by 35 per cent in the decade to 2015. 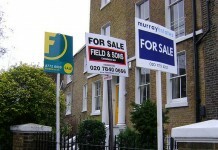 The area is traditionally popular with British, Irish and German buyers. The pool of those interested in buying property in the Algarve, though, has been widening for several years. Data from Knight Frank shows an increase from buyers of 128 nationalities searching for Algarve property in 2012, to buyers of 147 nationalities searching in 2015. Ideal Homes Portugal has also observed an increase in those looking for investment property in the Algarve recently, with rising prices adding to the attraction of owning a rental property there. One two-bedroom ground floor apartment in Lagos, advertised by the agency, is close to the beach and enjoys its own private garden with built in barbecue as well as a high spec kitchen, Jacuzzi bath, built in sound system and central vacuum. On the market for €255,000, the property comes with an “excellent rental history” thanks to its superior features, condition and location. Portugal’s house prices are enjoying strong growth at the start of 2016. 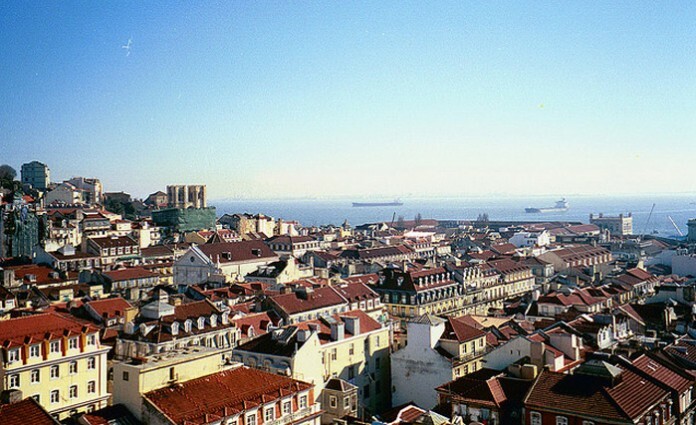 Lisbon’s property values rose 22.3 per cent in 2015, due to growth in demand from both retail and tourism, according to Confidencial Imobilario. “The data is unequivocal. The historical centre of Lisbon is the market with the highest level of price growth in 2015 reflecting the strong demand that has focused on it in recent years,” said the independent property publication. The growth follows a drop of 8 per cent between 2011 and 2012, a recovery of 12.5 per cent in 2013 and further slide of 1.3 per cent in 2014. At the start of 2016, that momentum continues, with prices in Lisbon’s metropolitan area climbing 3.68 per cent year-on-year in January 2016, according to figures from Statistics Portugal (INE) – just above the national average of 3.66 per cent. Prices have reached an average of €1,047 (US$1,168) per square metre (sq. m.), with values at €1,266 (US$1,412) per sq. m. in the capital city. Barcelos led annual growth in urban areas, with prices up 10.9 per cent in January 2016, followed by Amadora (9.4 per cent), Vila Franca de Xira (7.4 per cent), Porto (7.2 per cent), Odivelas (7 per cent), Maia (7 per cent), Cascais (6.9 per cent), Loures (6.4 per cent), Funchal (6 per cent), Oeiras (5.2 per cent), and Lisboa (5.2% per cent). Coimbra also saw an increase of 4.5 per cent, followed by Leiria (4.2 per cent), Braga (3.7 per cent), Setubal (3.7 per cent) and Sintra (3.1 per cent). Portuguese property prices are predicted to keep on climbing over the coming years. The country’s housing market has enjoyed steady growth in both sales and values in the last year and the latest RICS Ci Portuguese Housing Market Survey paints an upbeat picture for the future. Buyer demand picked up slightly in January 2016, following a broadly flat December. Lisbon and the Algarve both enjoyed a rise in new buyer enquiries, despite a dip month-on-month in Porto. The national sales indicator suggests sales volumes were more or less unchanged for the second month in a row, but estate agents did see a modest rise in transactions during January, despite a slight drop in sales among developers. The findings echo a dip in enquiries for Portuguese property on TheMoveChannel.com at the start of 2016, but demand overall has risen considerably in the last 12 months. In Q4 2015 alone, enquiries for Portuguese property increased 26 per cent compared to Q3 2015, as a combination of capital growth and lifestyle appeal, not to mention a broadly favourable currency exchange rate, all fuelled interest. Investors thinking in the long-term are still set to reap the benefits of the country’s gradual recovery, with house prices predicted by RICS and Ci to rise at a steady pace in the future. Looking ahead, the survey’s respondents expect house price inflation to come in around 2.5 per cent in both Lisbon and the Algarve over the coming year and around 1 per cent in Porto. 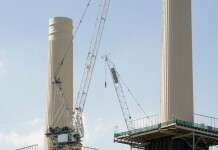 Over the coming five years, meanwhile, prices are forecast to grow by a stronger 4 per cent per annum. The optimism is highlighted by a confidence index rating of +30, the fourth month in a row where confidence has been in the narrow positive range of +30 to +33. For investors seeking short-term profits, the report also highlights further growth on the cards, with rents now up for nine months in a row, following years of decline. Going forward, strong tenant demand is expected to push up rents even higher during the next three months.